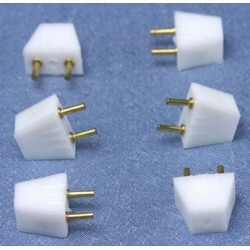 Here you will find miniature wiring supplies you need to light up your miniature lights and give your dollhouse a spectacular glow. 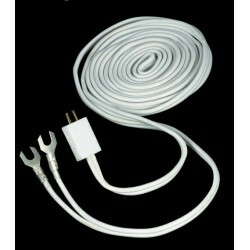 Redecorate and redesign your dollhouse with this Trans.lead-in Wire*. Your decor and collection of miniatures will be taken to another level of fabulosity. 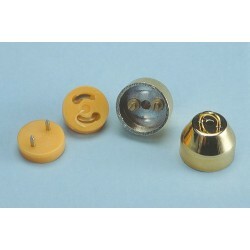 You will love this Brass Grommets/20 Pcs* as it complements your other miniature dollhouse furnishings. Now is the time to design a great new look! Adding this Test Probe to your miniature collection is just what you need to make your dollhouse a home, and showcase your fabulous taste. 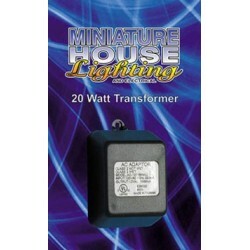 You will love this 10 W. Transformer as it complements your other miniature dollhouse furnishings. Now is the time to design a great new look! 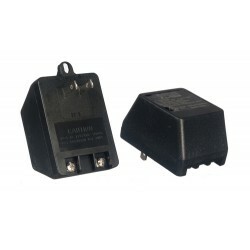 Adding this 20 W. TRANSFORMER NO LEAD IN WIRE to your miniature collection is just what you need to make your dollhouse a home, and showcase your fabulous taste. 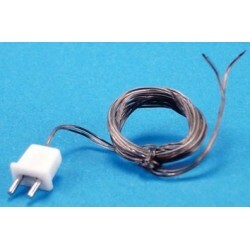 You will love this &CK1008-1: LEAD-IN WIRE W/SWITCH as it complements your other miniature dollhouse furnishings. Now is the time to design a great new look! 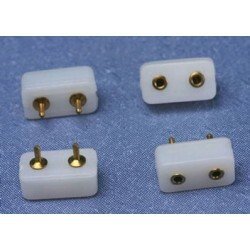 Enhance your dollhouse collection with this PETITE: WIRED WALL PLUGS, 4/PK. Added to your other dollhouse miniatures, it is a complement for a variety of styles and tastes. 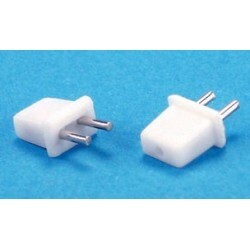 You will love this PETITE: DOUBLE WALL OUTLETS, 4/PK as it complements your other miniature dollhouse furnishings. Now is the time to design a great new look! 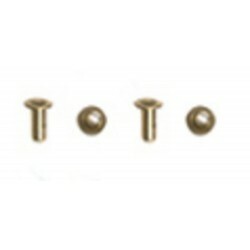 Adding this Petite Wall Plugs W/O Wire S4 to your miniature collection is just what you need to make your dollhouse a home, and showcase your fabulous taste. 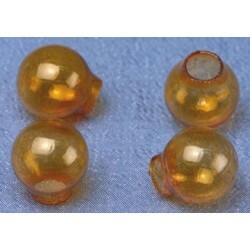 You will love this Amber Glass Globes- 4/Pk as it complements your other miniature dollhouse furnishings. Now is the time to design a great new look! 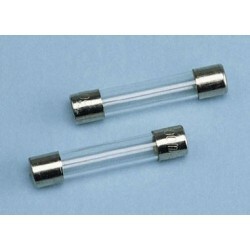 Adding this 1/2 AMP FUSE, 2/PK to your miniature collection is just what you need to make your dollhouse a home, and showcase your fabulous taste. 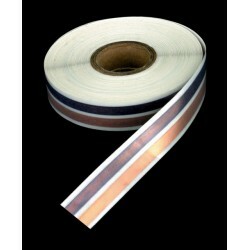 You will love this Colored Tapewire/30'roll as it complements your other miniature dollhouse furnishings. Now is the time to design a great new look! 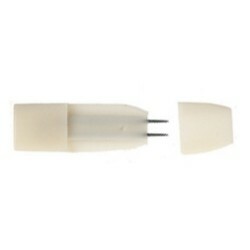 Enhance your dollhouse collection with this PLUG IN SINGLE WALL OUTLET, 4/PK. Added to your other dollhouse miniatures, it is a complement for a variety of styles and tastes. 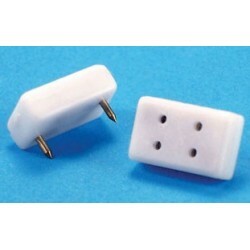 You will love this MALE PLUGS, 6/PK as it complements your other miniature dollhouse furnishings. Now is the time to design a great new look! Adding this Colored Tapewire/15' to your miniature collection is just what you need to make your dollhouse a home, and showcase your fabulous taste. 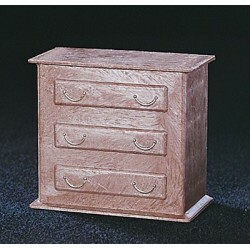 You will love this Small Dresser Box- 3 Volt as it complements your other miniature dollhouse furnishings. Now is the time to design a great new look! 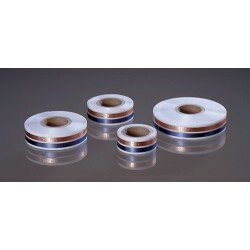 Adding this COLORED TAPEWIRE, 30' ROLL to your miniature collection is just what you need to make your dollhouse a home, and showcase your fabulous taste. Spruce up your dollhouse with this miniature Ceiling Canopy/brass Pltd. 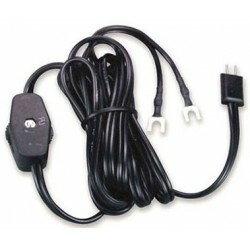 We have many miniature Miniature Wiring Suppliess for that finishing touch.